If you want to gather your family together, break down your own hog, craft interesting sausages and live life for a day, but maybe you don't want to invest thousands of dollars in space and equipment, we want to meet you and become best friends. 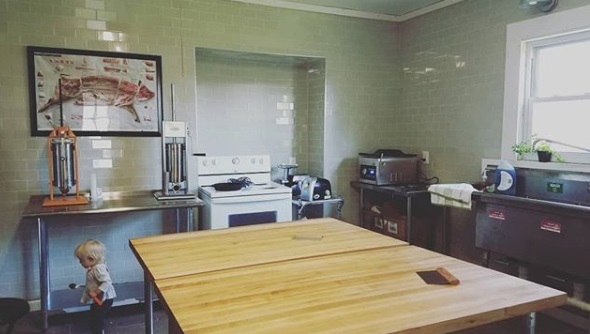 Oh, and you should probably just rent out the farm kitchen. We have worked so hard to renovate this beautiful 1800s farmhouse and we've turned it into an adult meat playground. 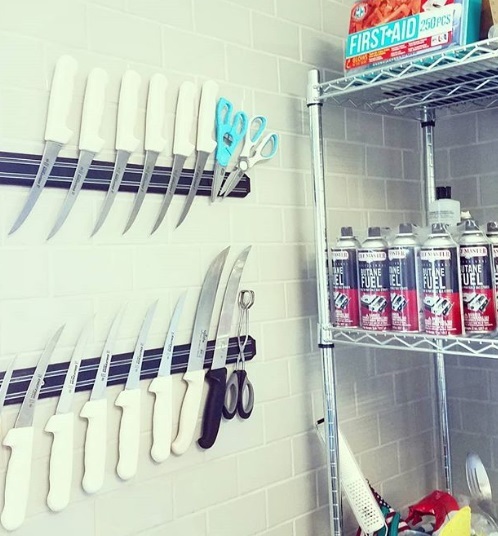 The space comes pre-larded and equipped with everything you need to cut up your own animals, including saws and knives, vac sealing machines and bags, several meat grinders and stuffers. We're happy to share it with others for a nominal fee. Bring your own carcass or make arrangements and we can leave a pasture-raised hog carcass in the cooler for you. Don't forget to bring the kids. There might already be some unclaimed ones wandering inside the house.